A friend in needle felting is a friend indeed! 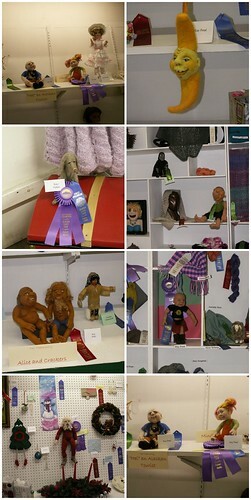 I entered several of my characters into the Alaska State Fair - I was thrilled with how well they were received by the judges and it is very exciting to have them on display for Alaskans to see, adorned with all of their pretty ribbons. Congrats! Your characters are really great and they deserve their "ribbons". Did my favourite "Young love" get a prize as well?